We are committed to safeguarding the privacy of our customers, so this policy sets out how we will. Wine Mason held their annual portfolio tasting last week and it is fair to say they have set the standard high - a very boutique selection! They showed just the right amount with about ten tables in total. On the whole the wines represent a taste that is currently very on trend, one that is ultimately lighter and quite fresh. Most of the reds were terroir-focused, uncomplicated and delicate with lively, mouth-watering flavour balancing sweet and sour fruit. The tasting provided a snapshot of the current winescape where enterprising winemakers are choosing to capture the individual character of grapes and terroir in their wines, intervening only when necessary. Winemakers who inherently understand their vines and land will focus on harvesting the healthiest grapes possible, revealing the unique identity and potential of the grapes in the wine. When the base is good there’s less need to smack on lots of make-up! Two of my favourites both happen to come from France; Rijckaert Jura Les Sarres Savagnin 2015 and Château le Puy Emilien 2015. The white comes from Cotes du Jura where the natural wine movement plays a big role. This appellation is just east of Burgundy with vineyards parallel to Puligny Montrachet and Chassagne. "Les Sarres " is a single vineyard located in Buvill, known for its whites. It is quintessential Jura made from 100% Savagnin in a lightly oxidative style. Natural flora stimulates a spontaneous and complete malolactic fermentation. Savagnin is very closely related to the Traminer family(Gewurztraminer) - hence the aromatic appeal. Its thick skin and low juice yield results in a greater concentration of aromas. No commercial yeasts are used and ageing takes place on the lees and mostly in old oak barrels(no new oak) for 22 months. The aromas are very pronounced on the nose - baked apple, cheesy notes from the malolactic fermentation and oxidative aromas like toasted walnut. The palate is generous, textured and long with cooked apple and mineral flavours. This wine achieves that desirable harmony between sweet and savoury. Try with a fruity sour cheese like Comte, Emmental or Swiss Gruyere for a traditional pairing. This next wine is totally captivating! Emilien 2015 comes from Château le Puy, still owned by the Amoreau family who have pioneered organic and biodynamic growing since 1610. 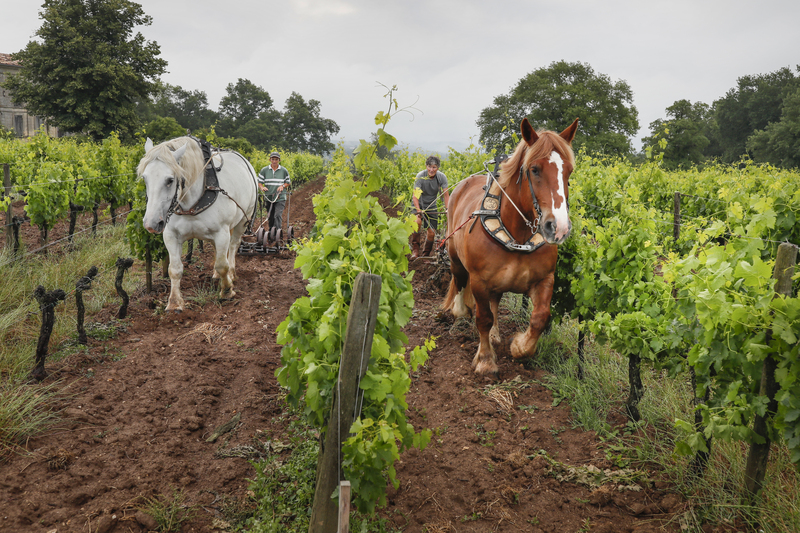 The estate shares its rich limestone soil with Saint-Émilion and Pomerol of right bank Bordeaux. Predominantly Merlot based with smaller quantities of Cabernet Franc, Cabernet Sauvignon, Malbec and Carménère, it has quite a distinctive flavour - blackcurrant and redcurrant with a hint of Bergamot. Deep brick red in colour with a warm nutty nose and an appealing earthiness too, the mouthfeel is full but completely smooth. This is an established Bordeaux producer showing us Merlot at its very best. Really great value for top quality and drinking perfectly now. I would pair this with roast game or a rustic vegetarian stew. Wine Fair Review & 3 reds to try!